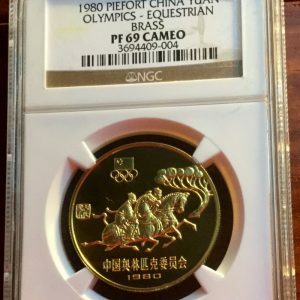 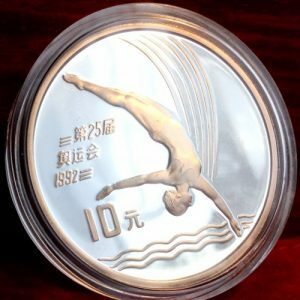 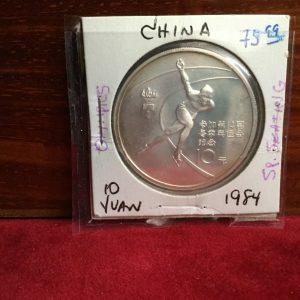 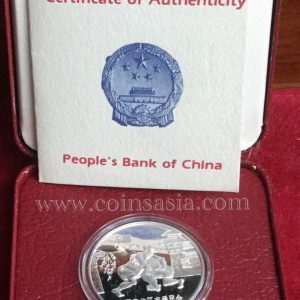 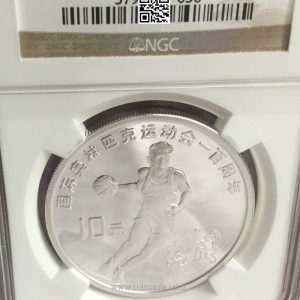 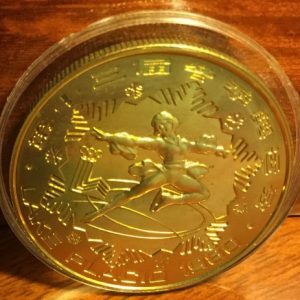 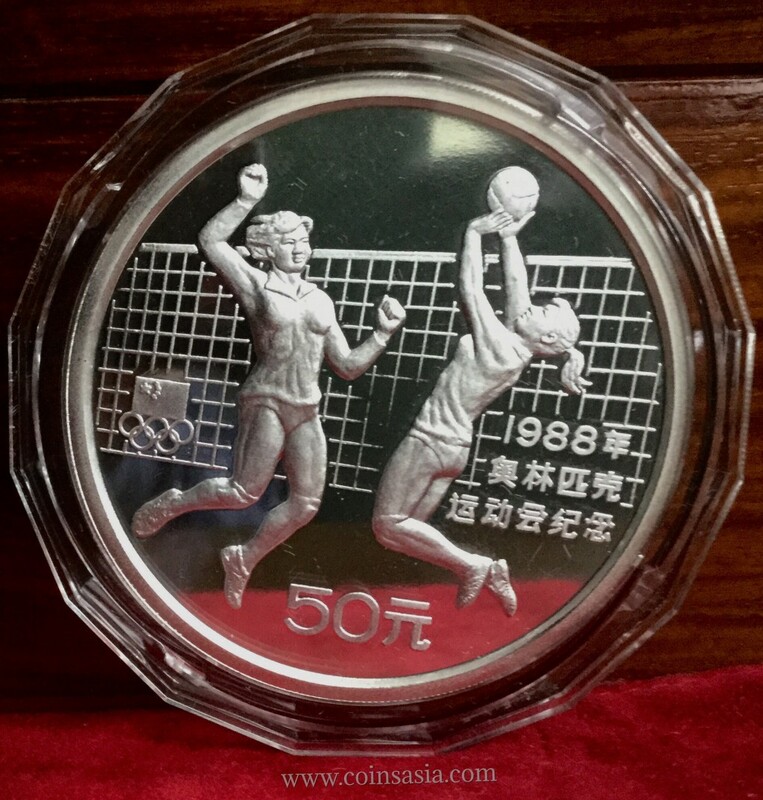 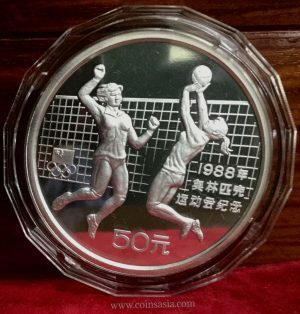 The 1988 China 5oz (OLYMPICS VOLLEYBALL) 50Y Silver Coin in commemoration of the 1988 Olympic Games is legal tender issued by the People’s Bank of China, minted by China Mint Company and distributed by China Gold Coin Incorporated. 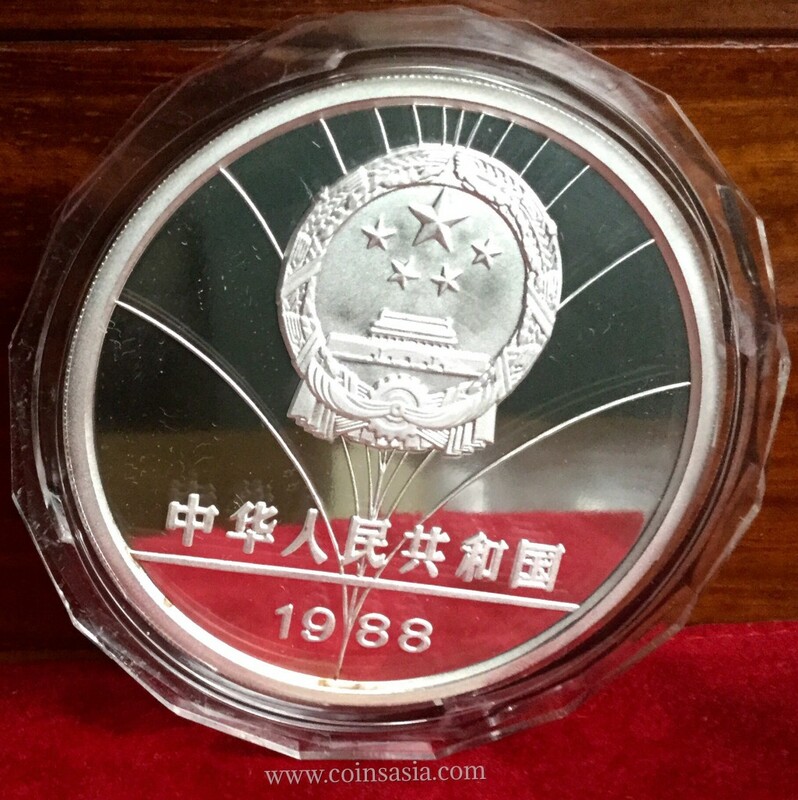 The Obverse depicts the National emblem of China. 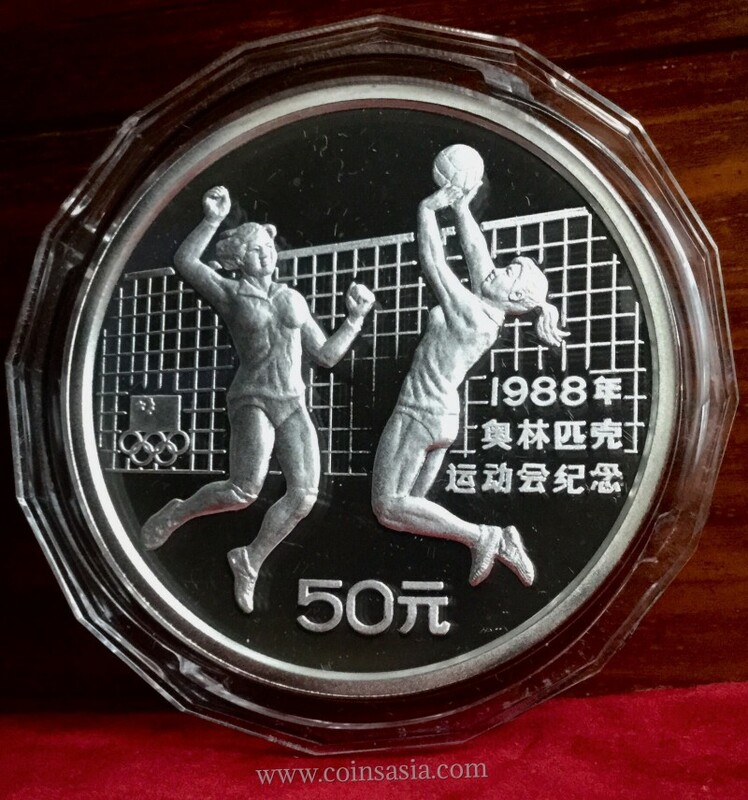 The Reverse displays the National team Women’s Players. 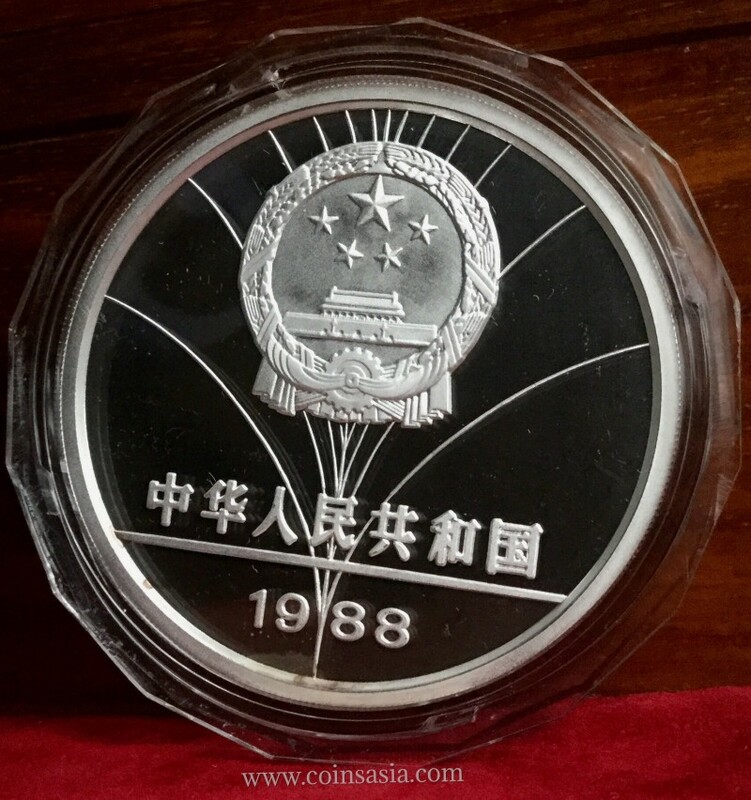 The coin is 70mm in diameter, 99.9% in composition containing 5 ounces of Pure Silver and has a mintage of 5,000 pieces only. 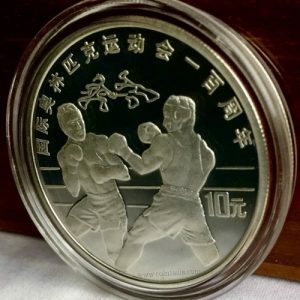 *Nice coin with light toning. 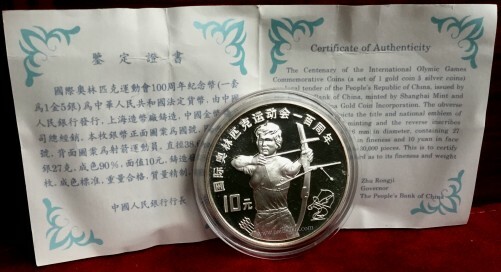 *Sold with Original mint issued Certificate.